I signed up to Step Up for 30 because my mum has bowel cancer. She was sick on and off for a few weeks, but we all just thought she must have got food poisoning from a family BBQ. She was only 65 years old at the time. One day, her pain was so bad that we took her to A&E. Her bowel had actually burst! She had surgery later that day. During the surgery she had a stoma put in, which definitely took a while for her to get used to. She then had a course of chemotherapy to limit any cancerous cells but it made her very poorly. She actually suffered from a stroke as a result of this. The consultant then had to stop the chemotherapy and instead agreed to have regular scans to see if the cancer had spread. Unfortunately, as they had to stop the treatment, the cancer spread to her lymph nodes, liver and lung. She’s now had chemo again, but it’s not working. She’s trying new treatment, which previously wasn’t available for advanced cancer patients and we’re hoping it will give her more time with us. I was looking for a way to fundraise for bowel cancer, and so when I saw Step Up for 30 it was perfect. I’m not very active but I’ve recently started exercising regularly and watching what I eat - I’m already seeing the benefits. 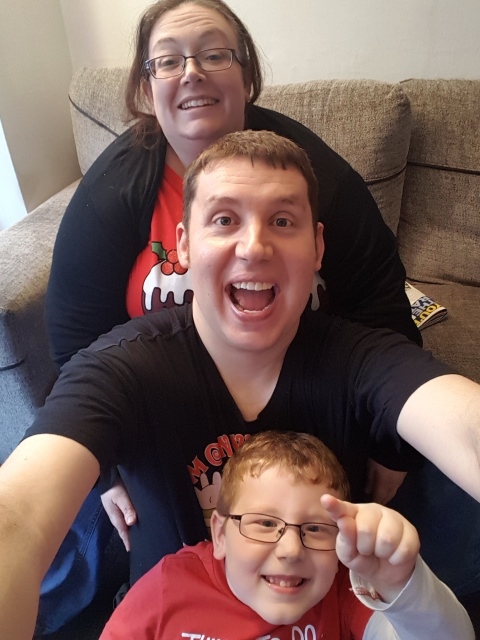 Doing 30 mins of exercise every day will mean that someone else has four extra years with their loved one who’s been diagnosed with advanced bowel cancer – like we have with my mum and my son’s grandma, and that means the world to us! If you would like to fundraise for us in another way, then please have a chat with one of our fundraising team on 020 7940 1769 or email community@bowelcanceruk.org.uk.